We review some of the power data from A grade men’s and A grade women’s across the recent Ring Criterium Series at Technology Park, Bentley WA. The purpose as such is to offer a standardised, or normalised, account of racing between genders, and what some of your training may need to look like in order to be competitive at an A grade race. The Circuit: 1.1km’s in length with around 10 meters of elevation per lap. 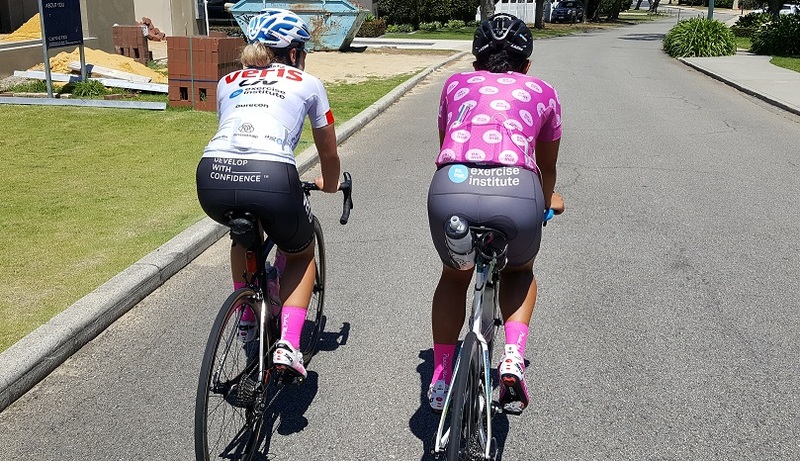 For the purpose of this analysis, we use data from a female A grade cyclist and a male A grade cyclist, who both under took different racing contexts. A grade men was in pieces (field was split) within a matter of minutes with a group of around 8 riders contesting the final, with A grade women staying together for a longer period of time, until the field split in two with the winning move coming from the front 5 riders. These metrics indicate the general average trend across each race. The peak 10min data of both races was similar in that a 9% reduction from men’s to women’s racing was inferred. The peak 10min data was also between 8-10% higher than that cited in the table below during the race. From these types of metrics we can see the demands of racing in broad terms, in that if wanting to race at this level and race well, you will need some element of training at intensities that replicate this output (Average Power and NP) and duration (exercise time). Similarly for peak 10min outputs, an individuals training diet would want to included repeated work bouts of intermittent efforts yielding around 5.5w/kg and 5w/kg NP for men and women respectively.